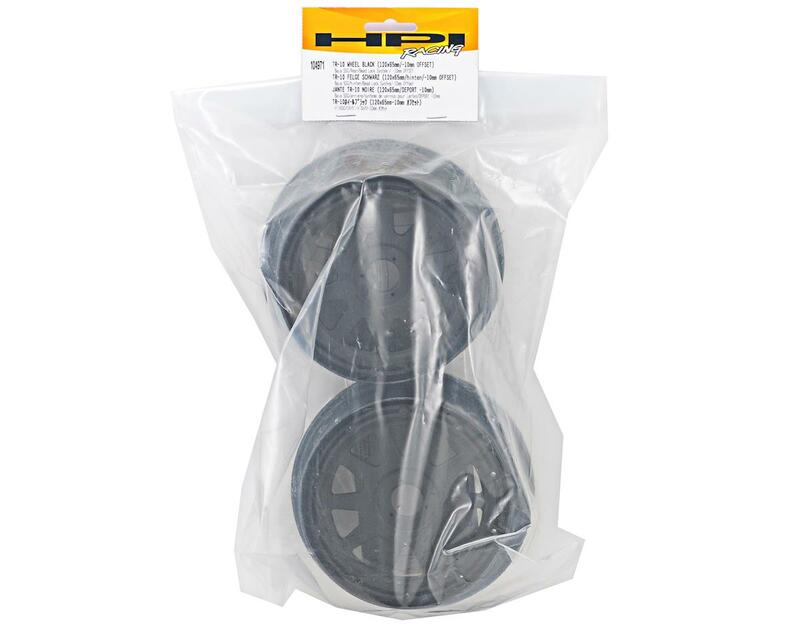 This is a pack of two HPI TR-10 -10mm Offset Rear Wheels, and are intended for use with the Baja 5SC and 5T trucks. These 10-spoke beadlock wheels not only look good, they also grip the tires and hold them securely in place through any condition. The wheels use a beadlock design to hold the tire in place, so the tire securely mounted on the wheel without the need for messy CA glue. 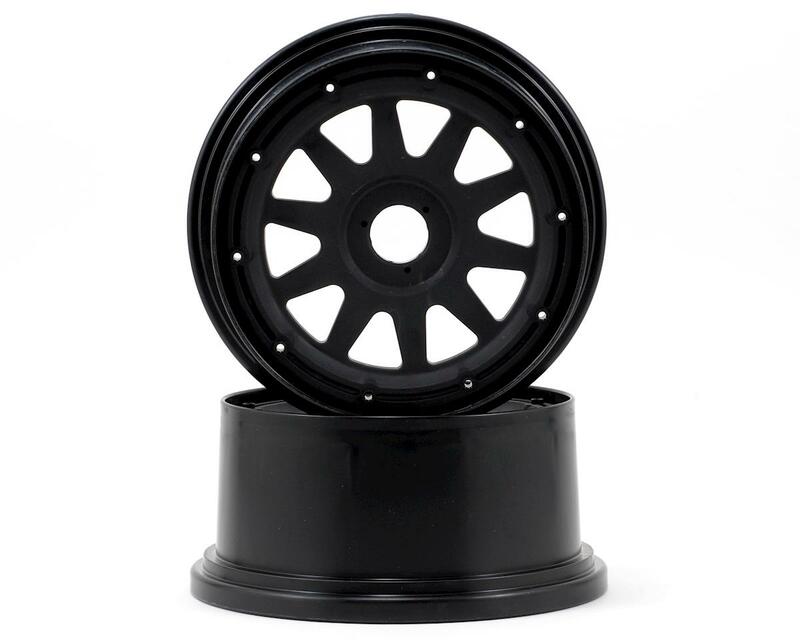 Made from tough high-impact nylon with metal reinforcements around the hex hubs for extra durability, these wheels are available in your choice of white, black, gunmetal and shiny chrome to help you match your paint scheme and add a custom look to your truck.